At just 19-years-old Andrew Lawson just may be the youngest tour operator in the VI. The St. Thomas native started driving boats when he was only 6-years-old. “I had my first boat, I had a little dinghy from a very good friend of mine and ever since then its’ kind always been something I’ve always enjoyed doing,” Lawson said. He took that passion and turned it into a business plan. 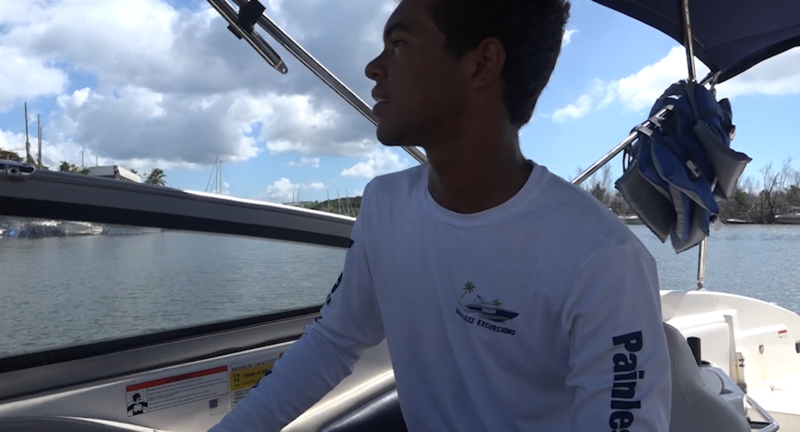 By 17 he started developing “Painless Excursion’s” a boating company to show tourists and locals the beauty of the Virgin Islands. On his 18thbirthday he made it a reality. “Now we have our own physical location. We got a partnership with cruise ship excursions, they help us out a lot with our time schedule. It kind of just works and everyone gets to have fun at the end of the day,” he said. Now, while some of his friends are off at school or out having fun, he’s at the office. But having fun just the same. Lawson just celebrated his 19th birthday. His advice to other kids his age, don’t give up.